Prominent figure of the Australian Muslim Community Mr. Keysar Trad has been elected a New President of the AFIC. He is well known for his welfare activities and famous respectable personality in the all circle of Australian Media. 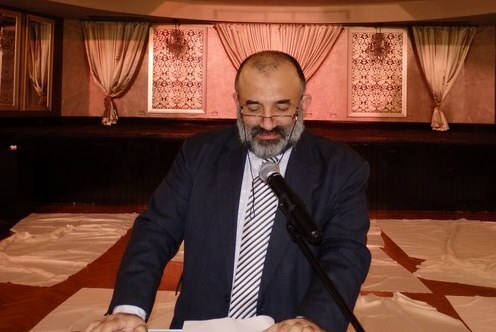 He is very close with state and federal politicians and Editorial Board of Sada -e- Watan believes that he have a ability to solve education and other challenging issues of the Australian Federation of Islamic Councils Inc.
Muslim community needs unity in Australia wide and better management for promoting Good Image of Islam. We hope that President Mr. Keysar Trad will consult all important Muslim leaders and draw a attractive balance line of action for future. Former President Hafez Kassam work hard as President in the last 10 years and his commitment with AFIC will be always remember in Good words. We all should follow the democracy in this Paradise country & respect for tolerance in the Multicultural society.